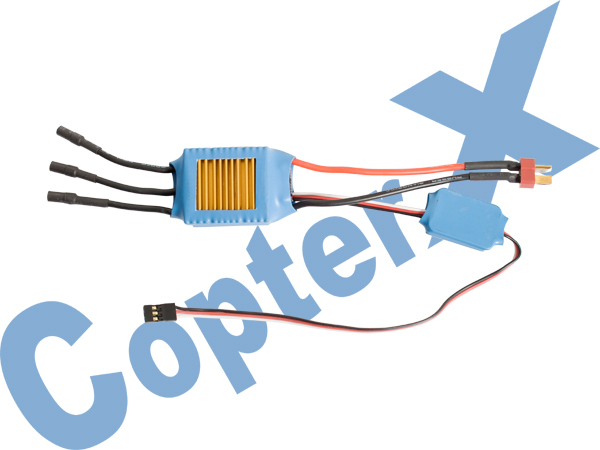 *E-Topmodelrc.com* ESKY COPTERX WALKERA ALIGN* - HM4F200LM - Flybarless multiblades 3-Axis-Gyro System 6CH Aluminum Edition Helicopter RTF - DEVO7 2. 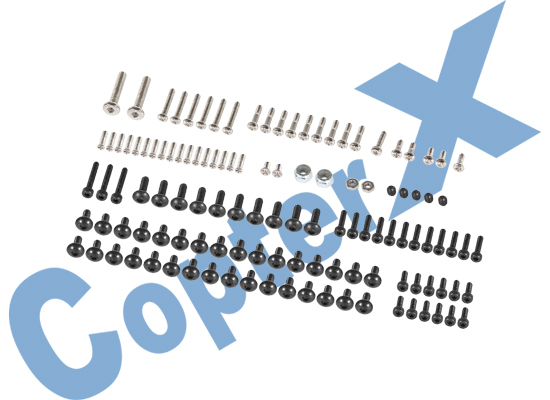 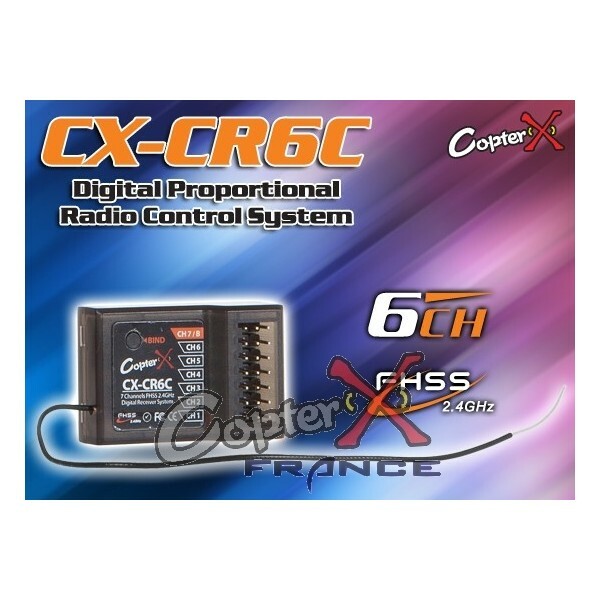 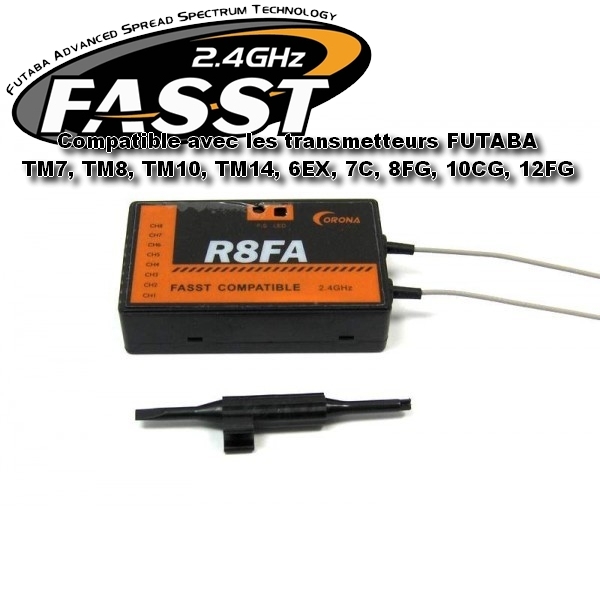 Top » Catalog » Helicopter » WALKERA HELICOPTERE » Walkera RTF 2.4G » HM4F200LM - Flybarless multiblades 3-Axis-Gyro System 6CH Aluminum Edition Helicopter RTF - DEVO7 2. 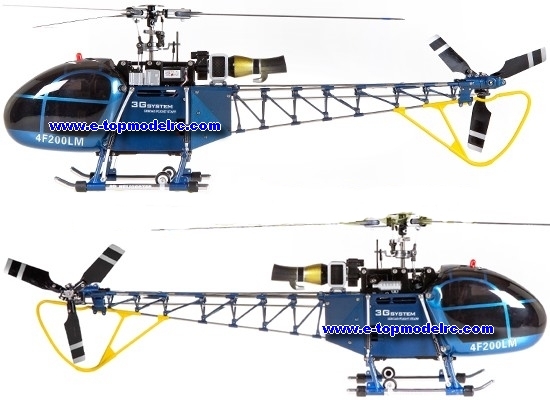 It is the best Scale Helicopter by Walkera so far, it is inspired by the famous "Lama 315B" helicopter. 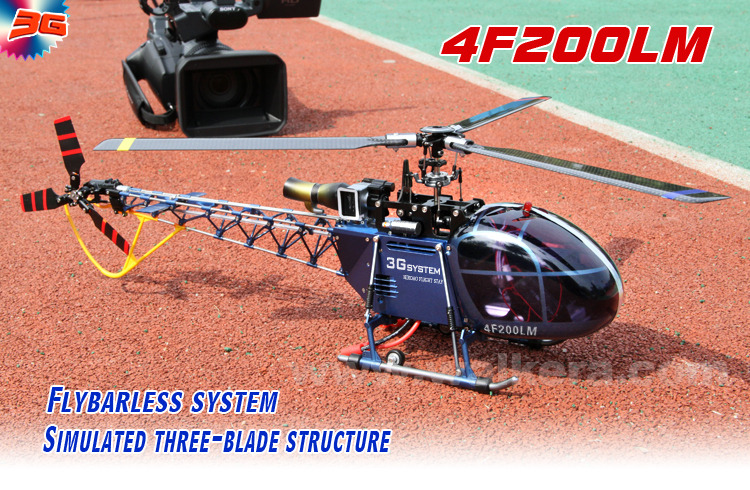 The 4F200LM is a very unique model on the market, it features a special Tri-Blade Rotor and a Tri-Blade Tail Rotor which has very few competitors on the market, combining the Auto Stabilizing System (3-Axis Gyro), it performs amazingly stable! 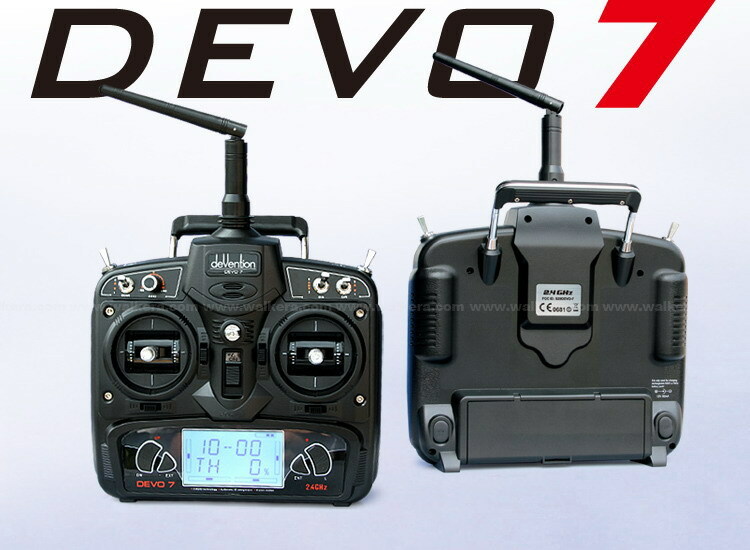 The details on the fuselage is stunning, which we've never seen on other Walkera Products before, especially the Tail Truss structure, the finishing are so well, just to see the tail pitch pushing mechanism and the tail drive shaft moves is a lot of joy. 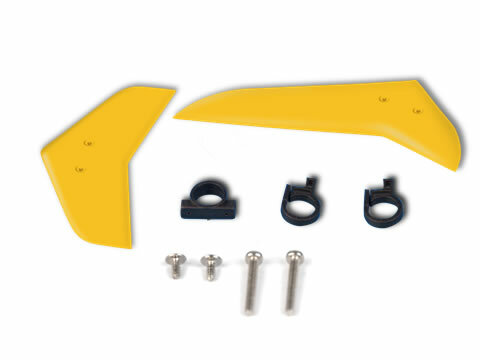 Furthermore, 4F200LM is a Collective Pitch helicopter, which means all 3 main blades can change angle to generate more wind for quick moving, for Helicopters with this design, it will move much quicker than normal Fixed Pitch Helicopters, this is a very effective design as they use on real helicopters. 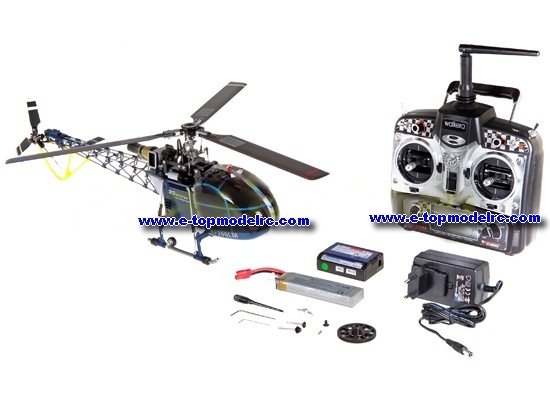 For this 4F200LM package, you get everything ready to fly, and all the good stuff installed, such as 3-Axis Gyro which helps to stabilize the heli body, the aluminum flybarless rotor head, brushless motor, pitch controlled tail rotor, LED Lights, well painted body.... and all this packed into a heli body no longer than your keyboard, amazing! 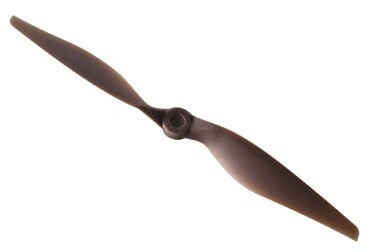 Why is there so few Multi-Blade Rotor Helicopters on the market? 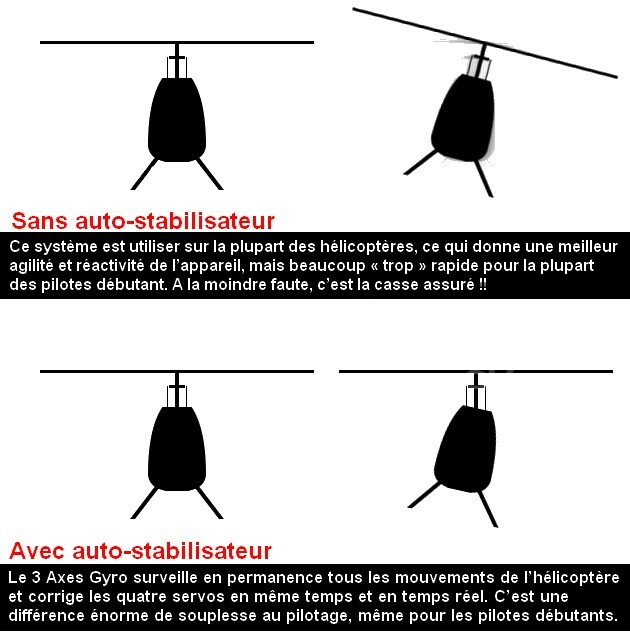 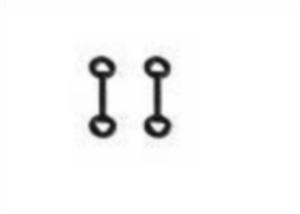 Multi-Blade Rotor Helicopters are unstable, this is because they usually do not have the Flybar Rod on the rotor head to stabilize the heli body. 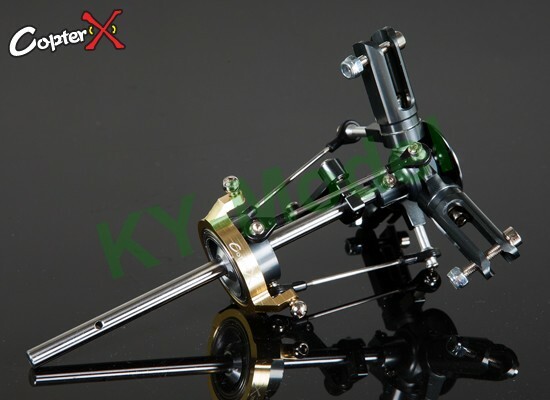 Multi-Blade Rotor Head Helicopters require computer system constantly monitoring the body movements and compensate any erratic moves. 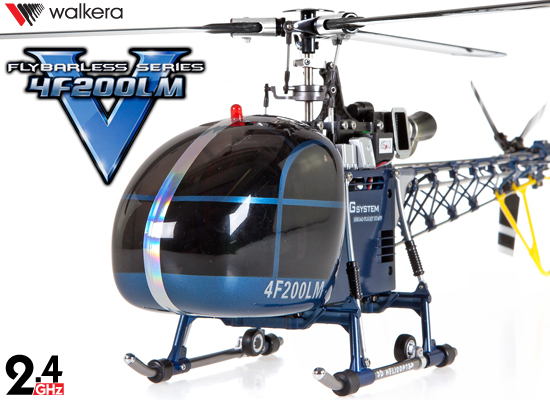 Walkera factory has the experience in making 3-Axis Gyro, so they put it on this 4F200LM and made this 3-Blade Rotor Helicopter possible to fly, and not even "just fly around", but able to perform 3D aerobatic movements. 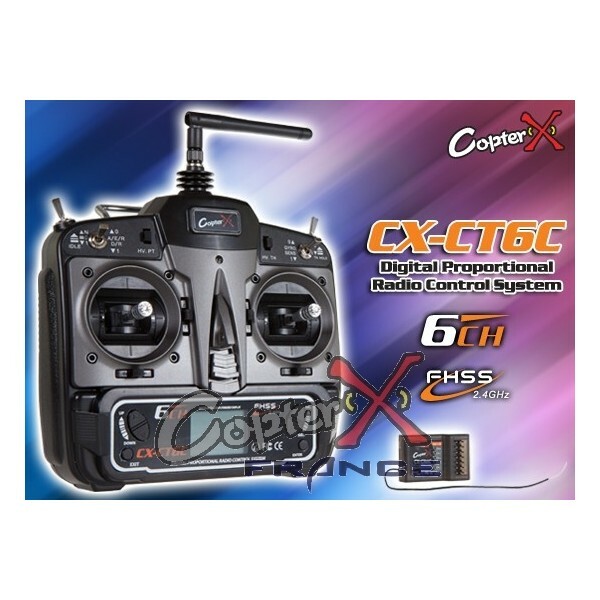 The on-broad all in one controller is amazing, it acts like a Co-Pilot to stabilize the helicopter. 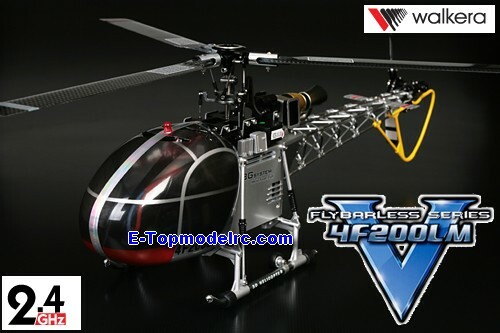 Best Looking Scale Helicopter - Just look at the details, it's speechless!